SHARP TRUCK AT A GREAT PRICE! 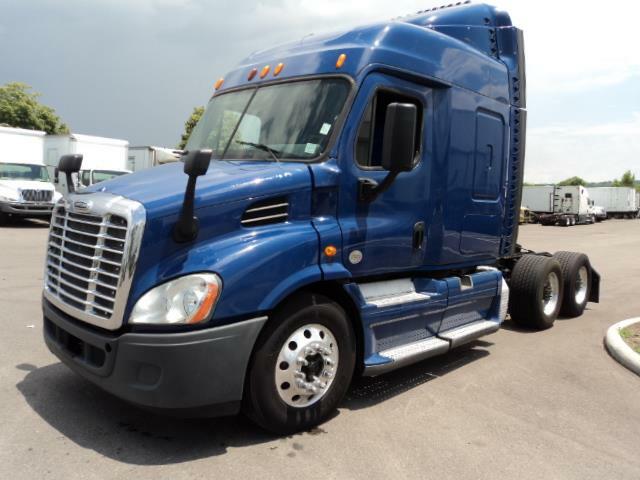 COME & SEE Fleet Maintained 2014 FL Cascadia Mid-roof at a great price! * Detroit DD13 Engine gets BIG MPG'S! * 10 speed Eaton-Fuller bulletproof manual transmission! * Very sharp, Royal blue paint that has BIG curb appeal!D.O.T ready, PM serviced & professionally detailed.90 Day Power-train warranty is included for free!Easy application only "IN-HOUSE" Financing is availble.We also have finance companies for every credit type.WE GET EVERYONE APPROVED WITH THE CREDIT THEY DESERVE!Please call or stop by to see this great truck today!